Essential fatty acids (EFA) are unsaturated fatty acids which are crucial for the human body. 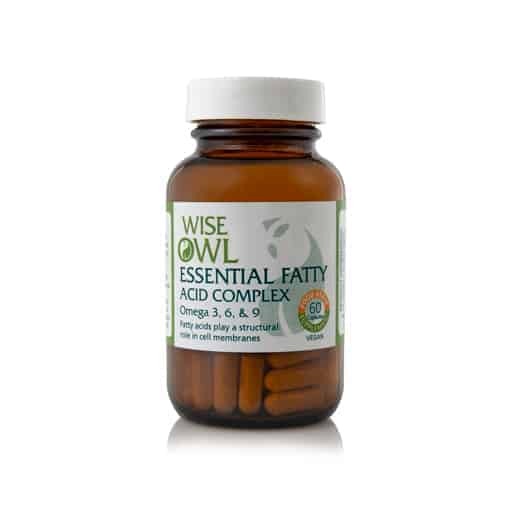 Wise Owl’s Essential Fatty Acid Complex is made from whole food & contains the ‘good fats’ the body needs. Suggested dose is 2 capsules daily, so this is a 1 month supply. Wise Owl's Essential Fatty Acid Complex include Linoleic Acid, Omega-3 Fatty Acid & Monounsaturated fats. These are considered to be the ‘good’ fats. The body can synthesise most of the fats it needs from the diet, apart from two essential fatty acids, linolenic & alpha-linoleic acid, which must be obtained from food or supplements. These basic fats, found in plant foods, are used to build specialised fats omega-3 & omega-6. 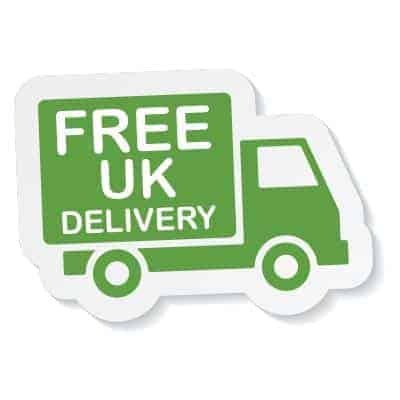 Wise Owl's Essential Fatty Acid Supplement is a truly natural 'food state' supplement - made using high quality ingredients in a whole food matrix. Essential fatty acids are unsaturated fatty acids which are crucial for the human body. They are important for optimum energy production, cell membrane health, skin health, the immune system and brain function. Wise Owl Essential Fatty Acids include Linoleic Acid, Omega-3 Fatty Acid and Monounsaturated fats, these are considered to be the 'good' fats. The body can synthesise most of the fats it needs from the diet. However, two essential fatty acids, linolenic and alpha-linoleic acid, cannot be synthesised in the body and must be obtained from food. These basic fats, found in plant foods, are used to build specialised fats called omega-3 and omega-6. This means they need to be acquired from the diet or from supplements. Recommended Intake: Two capsules daily with food as a food supplement, or as directed by a practitioner. Suitable for: Men, women, children and the elderly, including vegetarians, vegans and for people with Candida and yeast sensitivities. * Pregnant mothers should take care not to consume to much of this fatty acid as high levels are not good for the growing baby. Product Ingredients: Alpha linolenic acid – omega 3, oleic acid– omega 9, linoleic acid – omega 6, palmitic acid, stearic acid, mixed tocopherols, fatty acids complexed in linseed oil, safflower oil, soya bean, cotton & corn oils, capsule shell: vegetable cellulose. *The food ingredients delivering the nutrients in this formula are prepared from high quality vegetable and plant oils.